It's with great admiration and gratitude that we welcome Chief of Vascular Neurosurgery at UCSF Dr. Adib Abla to the Board of Directors of TAAF. Having previously been a fellow at both Barrow's Neurological Institute and later at UCSF under TAAF Board Member Dr. Michael Lawton, Dr. Abla returned to San Francisco this year. 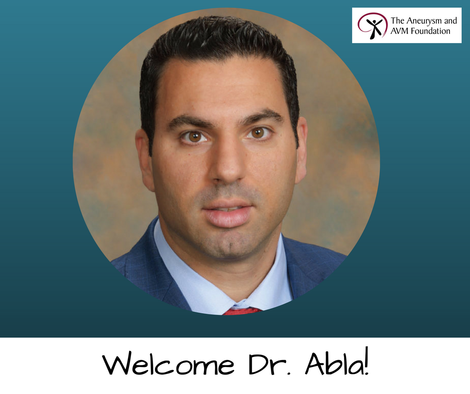 TAAF is truly fortunate to have so many amazing physicians and medical professionals on our Board, and Dr. Abla will be a valuable addition to that team!